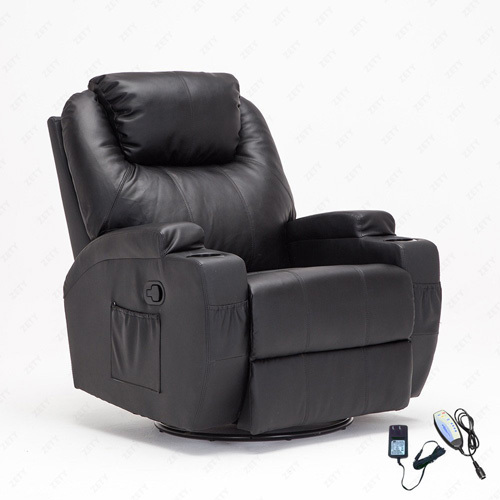 A heat controller plus massage features make the 360 Degree Swivel Leather Massage Recliner a beloved chair. 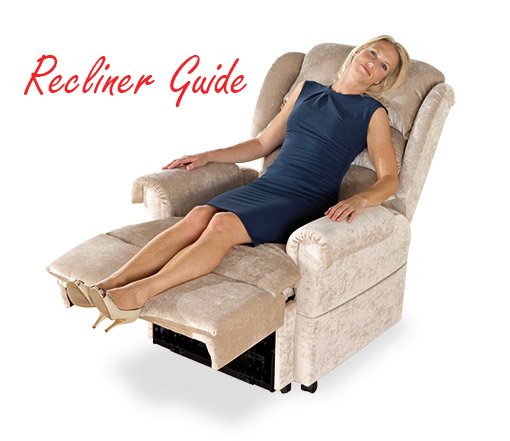 For those seeking relief from achy muscles and joints, heated recliner chairs are a good option to consider. As we all know, heat is commonly used as a remedy for pain relief and also has a relaxing effect. This makes heated recliner chairs an asset for those who could use pain relief and for those that need a little something extra to feel relaxed. On top of providing warmth, most heated recliner chairs are also massage chairs. The combination of heat and massage can do quite a lot for tight muscles. While there are those strong positives in favor of getting a heated recliner, the downside is that they tend to be on the more expensive side due to the extra features. For those looking for a less expensive solution, keep chair heating pads like the Relaxzen 60-2926XP 5-Motor Massage Seat Cushion in mind. With that being said, if a heated recliner chair seems the way to go for you, browse the table below to get an overview of some of the most popular models. We hope the table above has been useful in getting a quick sense of the heated recliner chairs available. Below we’ll go into more detail on a couple of the most popular options. 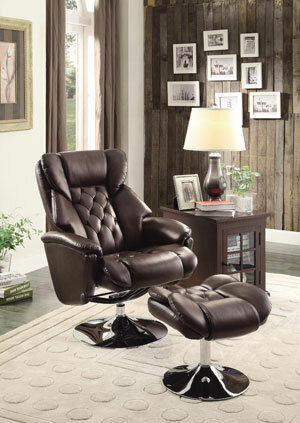 The 360 Degree Swivel Leather Massage Recliner is the highest customer-rated chair in our list. Its heating system is coupled with an eight-point massage system to provide maximum relaxation. It is also a rocking chair on top of being a swivel recliner. Two cup holders and a storage pocket are included in this chair as well. The chair measures 37.8 inches wide by 33.8 inches tall by 41.7 inches deep, and is available in either black or brown bonded leather. Reviewers report that the heating feature of this chair is wonderful, and love that the chair is plush and comfy. On the downside, some reviewers feel that the massage mechanisms are not strong enough. Another common criticism of the chair are that its setup instructions are confusing. 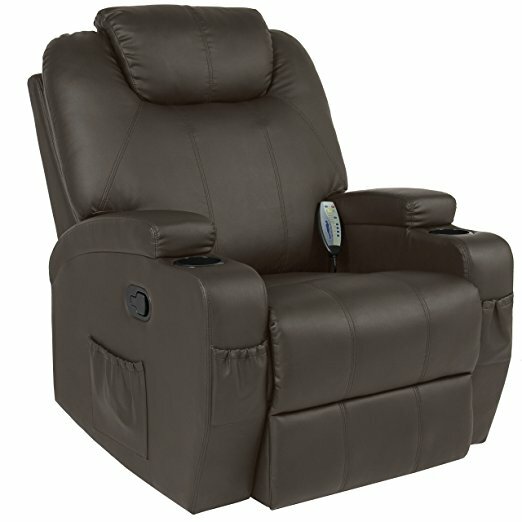 The Best Choice Products Massage Recliner is one of the least expensive heated recliner chairs we found. While its 3.8 star rating is lower than many of the other chairs in our list, most customers who purchased the chair feel it provides good value for the price. This chair comes with an attached controller that lets you dictate the levels of massage and heating intensity. You are able to select from 5 different massage modes. The chair’s base features a ball bearing mechanism for smooth swivel rotation. Four storage pockets and two cup holders are other perks of this model. 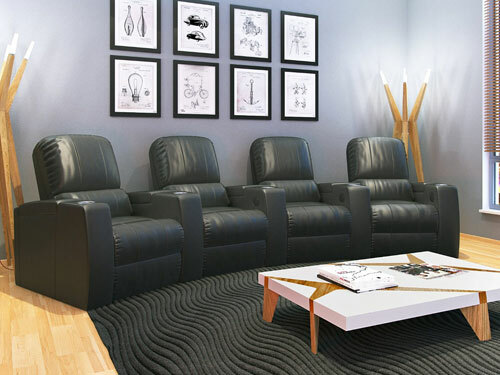 The upholstery is PU leather, and is available in black or brown. At 30 inches wide by 33 inches deep by 42 inches high, this is a decently-sized chair that will work for most people. 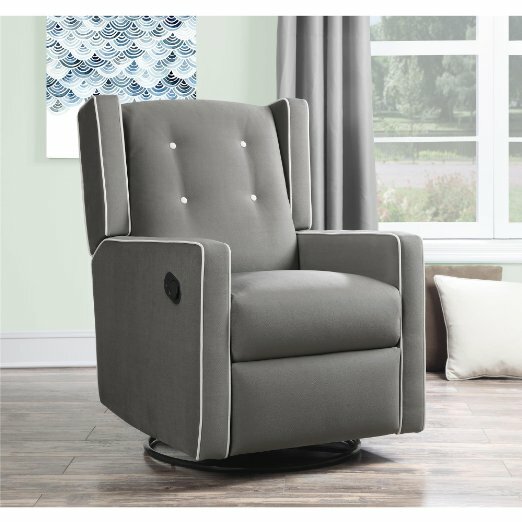 Interestingly, this chair with its size and features weighs just over 90 pounds, which is around half the weight of a typical massage recliner. Most reviewers rave about that comfort and function of this chair for its price. However, there are several negative reviews from customer that seem to have gotten lemons. The main drawback to this model seems to be the inconsistency in quality.